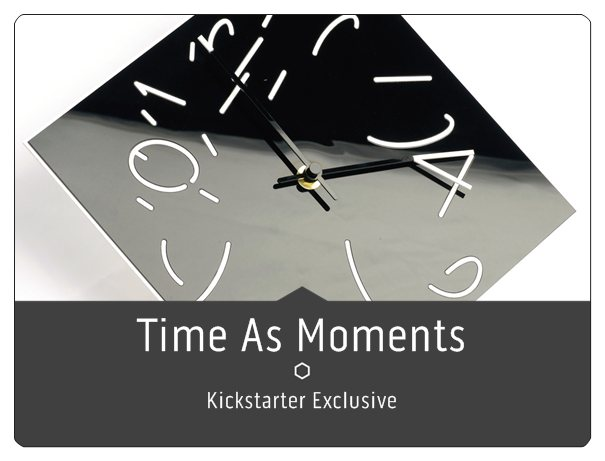 The Designer Clocks mentioned in this post launched a Kickstarter campaign that is going to deliver in time for Christmas 2013! The backer rewards include signed, limited edition clocks as well as clocks in kit format and will be ready for Christmas! If you'd like to contribute and get one, do so quickly! After the Kickstarter campaign is over, the clocks will be available for ordering from their own website at http://www.time-as-moments-clock.com/ .